Wire grids and sections | INTERNATIONAL METAL PLAST spol. s r.o. IMP owns modern automatic and semi-automatic welding machines, including additional resistance welders for welding wire grids of up to 2500×5000 mm, which use wire diameters ranging from 1.5 to 12 mm and a mesh size from 25 x 25 mm. We are able to produce various wire grids on wire sections, containers and material handling equipment or gabion meshes in a black, galvanized or painted finish according to our customer’s requirements. We also produce a variety of mobile fences used for building fencing, including parts used in large entrance systems. 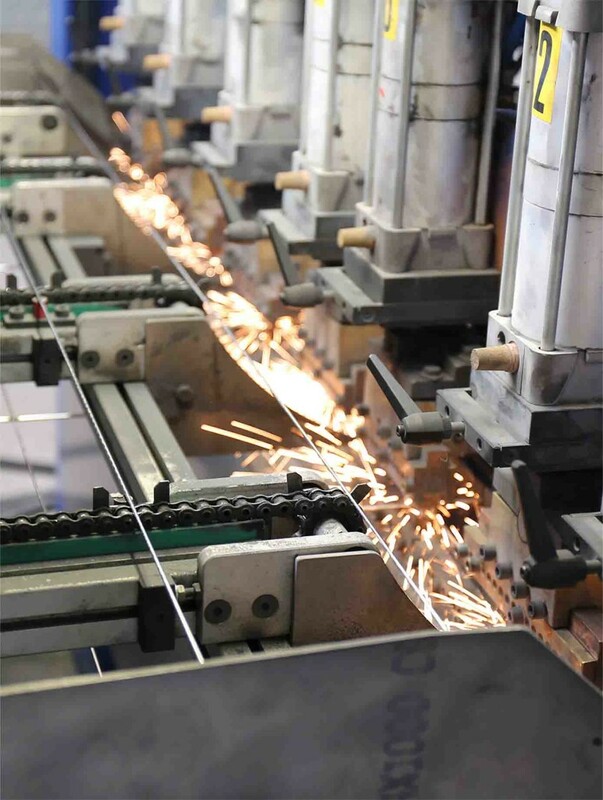 Our major customers are companies in the logistics, industrial packaging, automotive, security systems and fencing industries and companies involved in general welded fabrication and gabion systems.